Sam Smith – As I was continuing to puzzle over why it was so easy for me to see Donald Trump as a lying con man while millions of Americans still don’t understand it, I happened to pick up an old Raymond Chandler novel, Big Sleep, featuring detective Philip Marlowe. 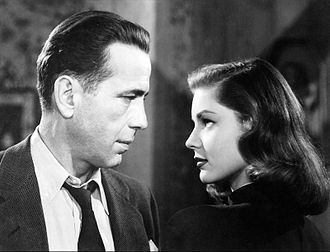 As a teenager I had seen the movie which starred my hero Humphrey Bogart but I had never read the book. If you grew up in a time before television made its full impact on America, such films were quite influential. Now we see a couple of thousand ads a day, listen to constant hype, and are lectured by those who shout and wave their arms as they talk. "Geiger was dead and Carmen would have to find some other shady character to drink exotic blends of hootch with. I didn't suppose she would have any trouble. All she would have to do would be to stand on the corner for five minutes and look coy. I hoped that the next grifter who dropped the hook on her would play her a little more smoothly, a little more for the long haul rather than the quick touch." "She's a grifter, shamus. I'm a grifter. We're all grifters. So we sell each other out for a nickel. Okey. See can you make me." He reached for another of my cigarettes, placed it neatly between his lips and lit it with a match. Donald Trump thought he could sell all America out for a nickel. He hadn’t figured on having to deal with a Philip Marlowe type character named Robert Mueller.